Having recently become engaged my world has become engulfed in wedding planning. Whilst on my mission to find my perfect gown I came upon the amazing designer duo, J'Aton. 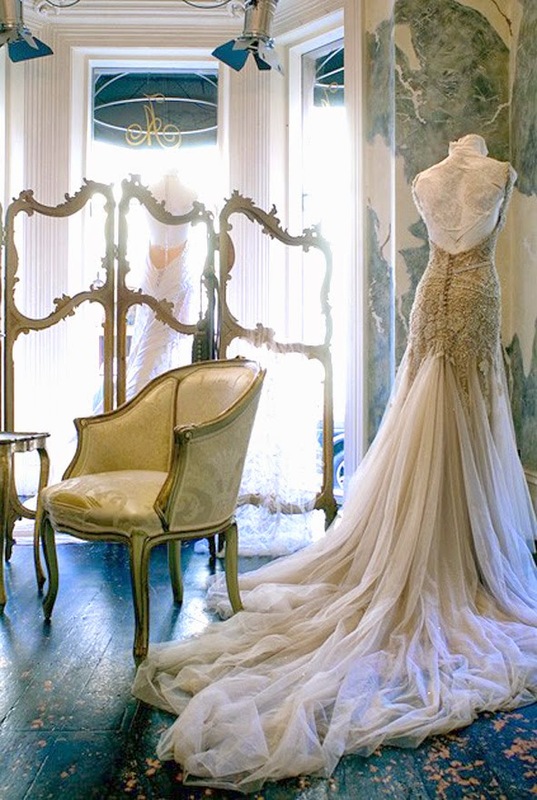 Jacob Luppino and Anthony Pittorino started J'aton Couture in 1995. The Prahran based couturiers are known for their elaborately hand-beaded and meticulously hand-sewn gowns. A J'Aton gown is made in the tradition of a European couture house where they drape, cut and pin their gowns to the body and then sew, by hand, every seam, dart and tiny bead. The European sensibility of J'Aton is born from their Italian heritage, "we love lace, we love detailing, we love embroidery and beads." These images capture the pure elegance and femininity of a J'Aton masterpiece. I am inspired and in love!